Designed for rugged mountain terrain, the SCOTT outsole offers excellent grip and traction. Anatomický centrovací pásek automaticky zarovnává horní pásek s nártem chodidla. Nízkoprofilové přizpůsobení pro objemná i menší chodidla. Na světě existuje mnoho různých typů nohou. My se ně pokoušíme vytvářet obuv se stabilní podpůrnou platformou, která je maximálně výkonná a celodenně pohodlná. Takovou, která se různým typům chodidel umí dokonale přizpůsobit. The Boa System, delivers closure and adjustment solutions purpose-built for performance. Boa’s patented system consists of three integral parts: a micro-adjustable dial, super-strong lightweight laces, and low friction lace guides. Each unique configuration is engineered to optimize fit and provide precision, adaptability, and control, and The Boa System dials and laces are backed by The Boa Guarantee. Performance Fit: Dial in the perfect fit for more even pressure distribution and better power transfer. With dial placement for zonal fit and fine tuning down to the millimeter, Boa helps you maintain circulation throughout your ride. Ready For Anything: Whether heading into a sprint or a steep climb, make instant single-handed fit adjustments without losing focus. As Lightweight As It Is Strong: The Boa System sheds the elements so it never weighs you down. 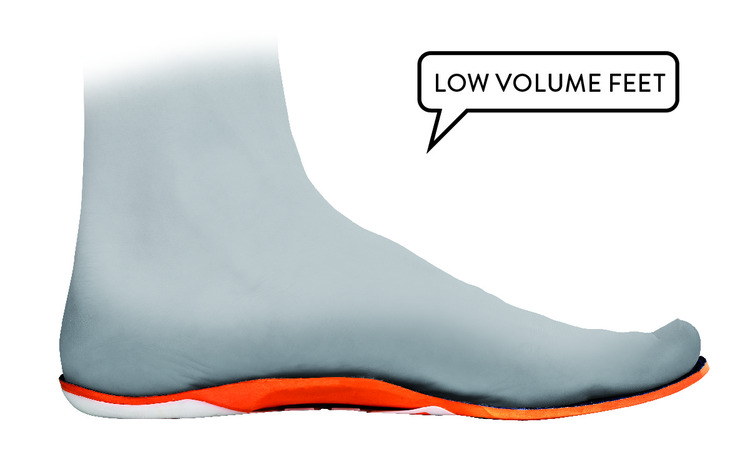 And precision engineered laces are built to perform in any environment — guaranteed. The Boa® System IP-1 is the latest evolution of the proven closure system, that strikes the ideal balance between precision and convenience. The Boa System IP1 allows cyclists to tighten and loosen their shoes 1mm at a time making it easy to adjust pressure and achieve a perfect fit. It adapts to your individual needs by turning the dial with one hand, with one hand, even while cycling. For intuitive handling, the right and left dials are mirrored to allow same-direction turning and the entire system can be immediately released by simply pulling the dial. FIT FOR LIFE WITH BOA®. The Boa System dials and laces are guaranteed for the lifetime of the product on which they are integrated. 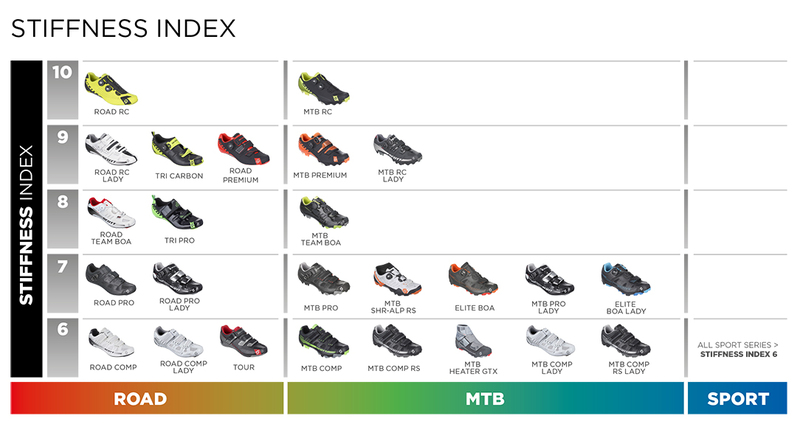 Our high-end road and mountain shoes all come with an anatomically designed, adjustable insole. 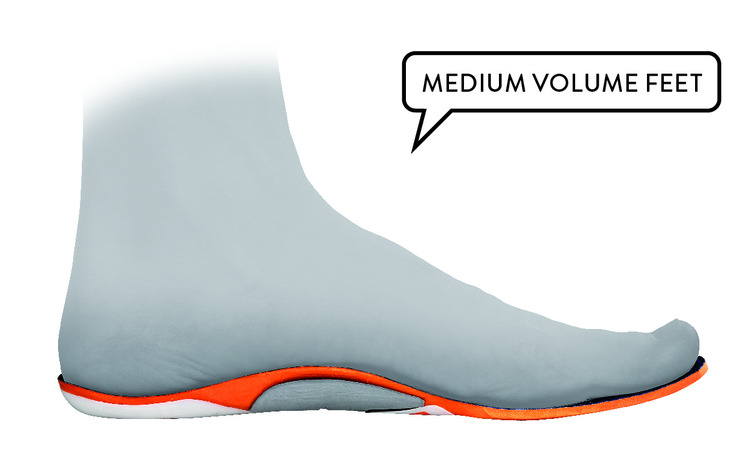 Foot zoning allows us to consider the anatomical shape of the foot and ergonomically pre-shape our insoles for a perfect fit to support the cyclist's foot. 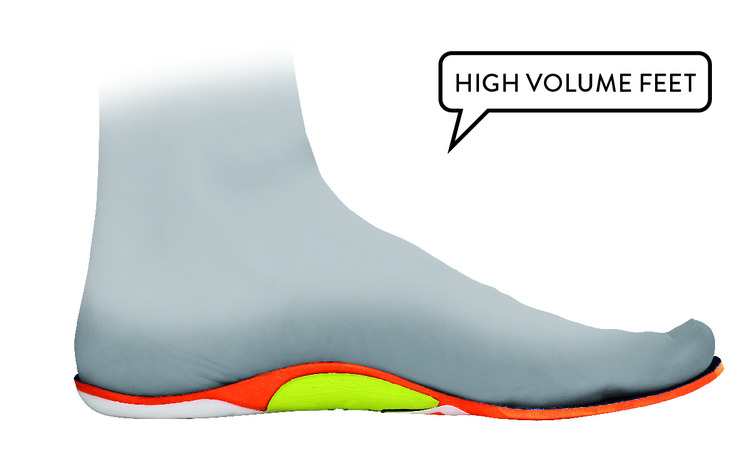 This provides a stable foundation for improved comfort and power transfer. 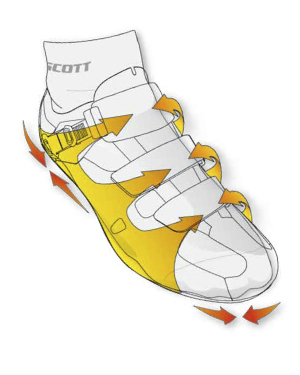 The SCOTT modular footbed allows for adjustments to the rider’s individual needs and preferences with three different volume arch and metatarsal pads for high-, medium and low volume feet. 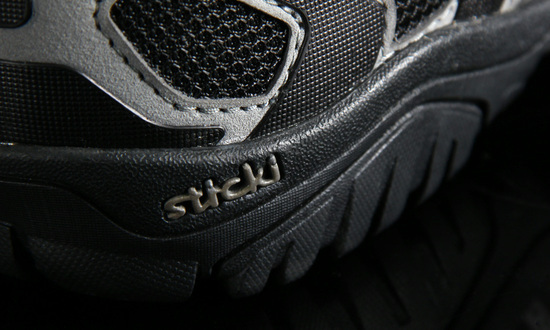 Sticki rubber compound offers best traction for all conditions.